Home > Questionnaires > Questionnaire: Should I Go Direct to My Bank or an Advisor? When it comes to finding the right mortgage, the amount of advice on offer can seem daunting at first. It can be hard to know where to turn or whether the offer you are getting is the best one out there. 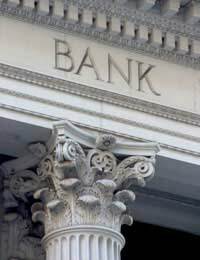 These few questions should help you decide whether your bank will be able to help you or whether it might be more beneficial to seek the advice of an independent adviser. 1)	What Shape are Your Finances in? A)	My finances are in great shape I have a good credit record and have a hefty deposit saved up for my mortgage. B)	I have a few debts and have a number of bank accounts with different banks, but have no serious debt. C)	I have a few problems; I have fallen into arrears on a few of my credit card payments and have quite a lot of debt. 2)	What Type of Property do You Want to Buy? A)	I want to buy a residential property, such as a flat or semi detached house. B)	I’m looking to buy a commercial property, such as a shop which encompasses a flat. C)	I have a plot of land and want to build my own property. A)	I have made some preliminary enquiries with my bank and they say they should be able to offer me a mortgage. B)	I have searched online and typed my details into an affordability calculator, which suggested I would be able to get a mortgage. C)	I went to visit a bank who said they would not be able to offer me a mortgage so I’ve just given up. 4)	What Type of Employment are You in? A)	I want to be able to find a deal that I can fix for as long as possible, I don’t like remortgaging every couple of years. B)	I would like to be able to find the best mortgage on the market but don’t want to have to pay somebody to find this for me. C)	I want to make sure I have found the cheapest possible mortgage out there, I don’t mind paying somebody a fee to tell me this. Your bank should have no problem offering you a mortgage deal. If you already have your current or savings account with them this is even better, as some lenders offer customers with current accounts better deals. You should be aware that if you go direct to a bank you could be missing out on better deals from other banks, but it is up to you how much shopping around you want to do. If you have saved up a deposit this should mean that you have access to a good range of products at your bank or buildings society. It seems you would benefit from going to visit your bank and a financial adviser, especially if you want to buy a commercial property. If you have a few debts your bank might request that you pay these off before they are willing to offer you a mortgage. A financial adviser might be able to find a lender that is willing to lend to you even though you have debts. If you want to include any additional income you make on top of your full-time job, you may need the help of a specialist lender which an adviser would be able to put you in touch with. Some brokers might charge a small fee, but find you a better mortgage, which means the better deal should outweigh the fee. You sound like you may have some trouble getting a mortgage or you would find it hard falling in line with a bank’s criteria. You may want to visit a mortgage broker who will be able to look at the whole of the market and find the deal that best suits you. You may find that some brokers will charge for this, but some will not and just charge you if they find you a good deal. Deciding between going direct to your bank or visiting a mortgage broker can be tricky. If you are someone who does not like shopping around and is happy with just one option you may be suited to visiting a bank. If however you have special circumstances or just want the bigger picture a mortgage broker might be for you.